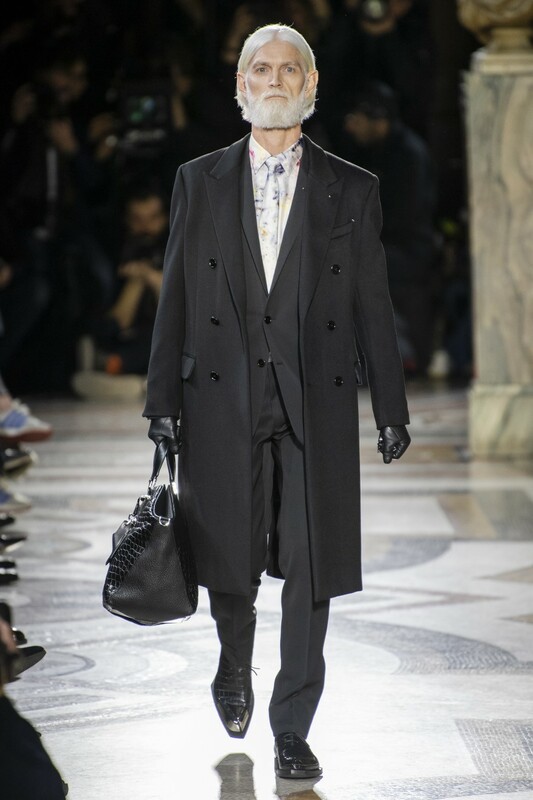 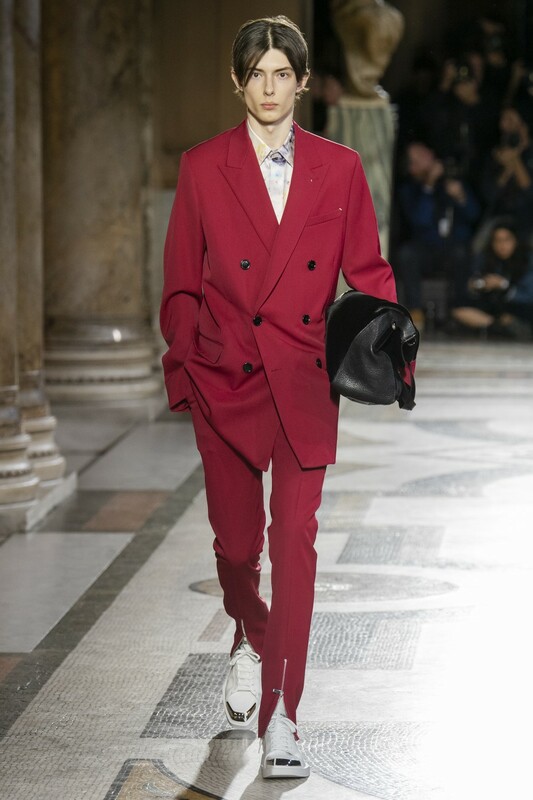 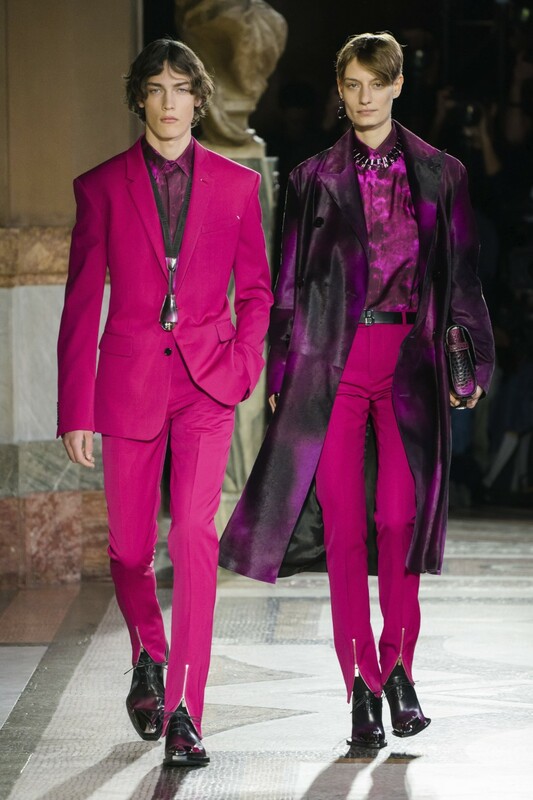 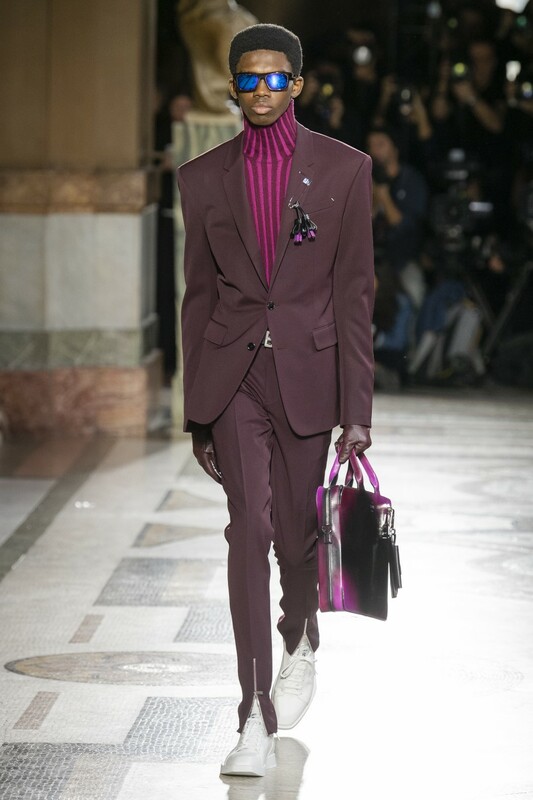 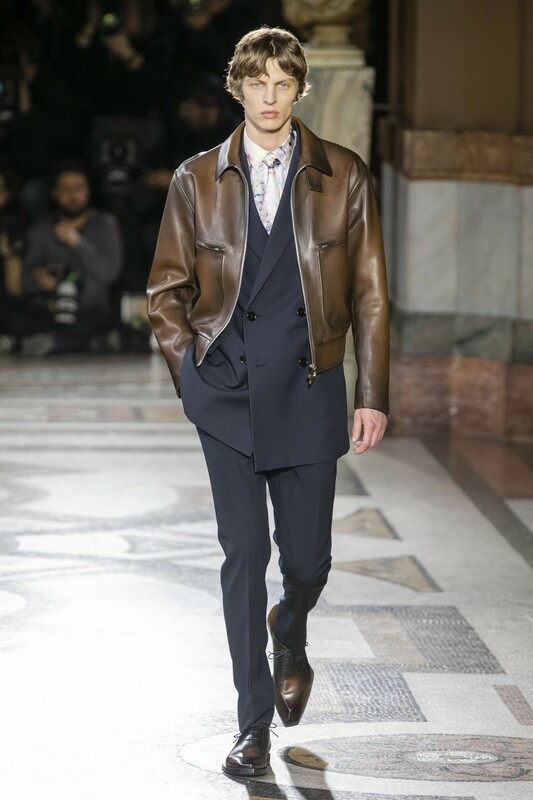 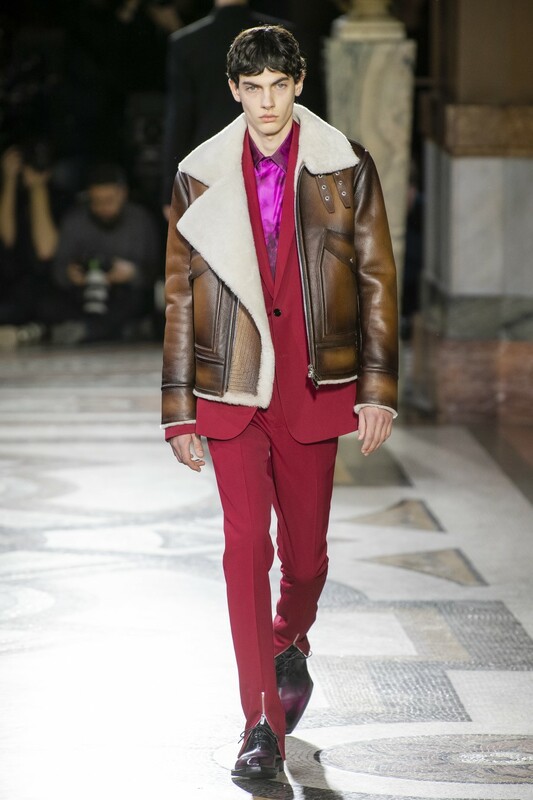 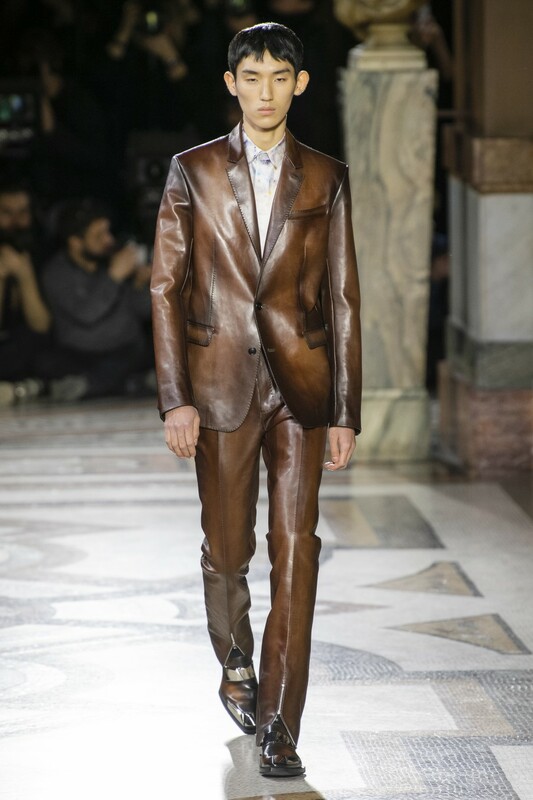 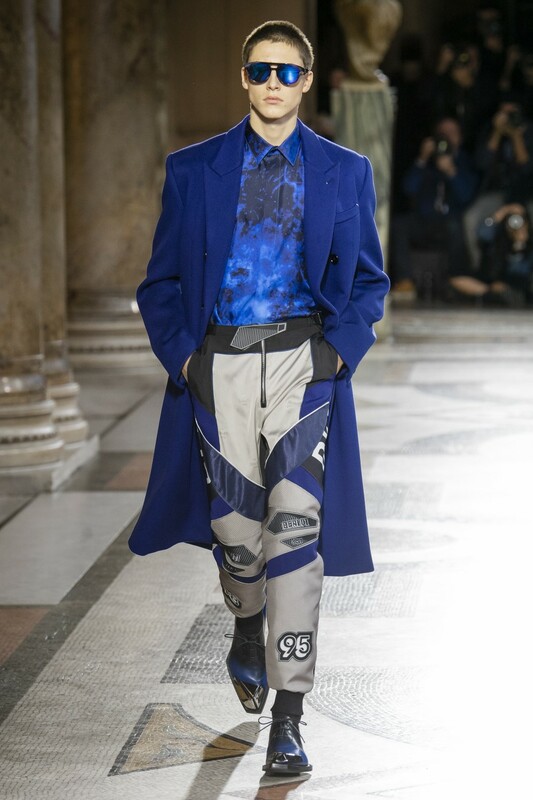 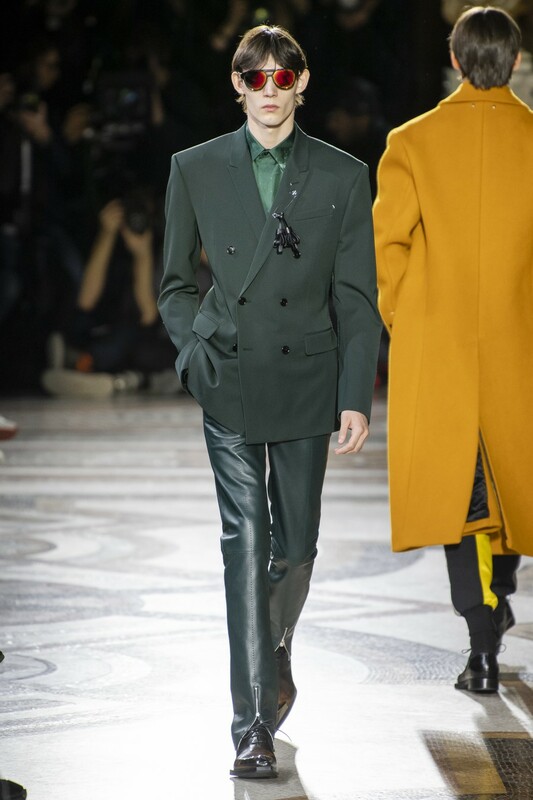 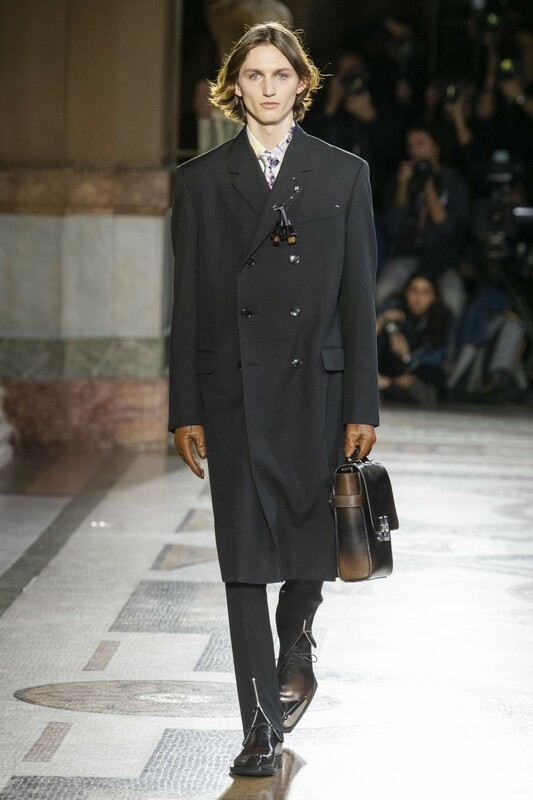 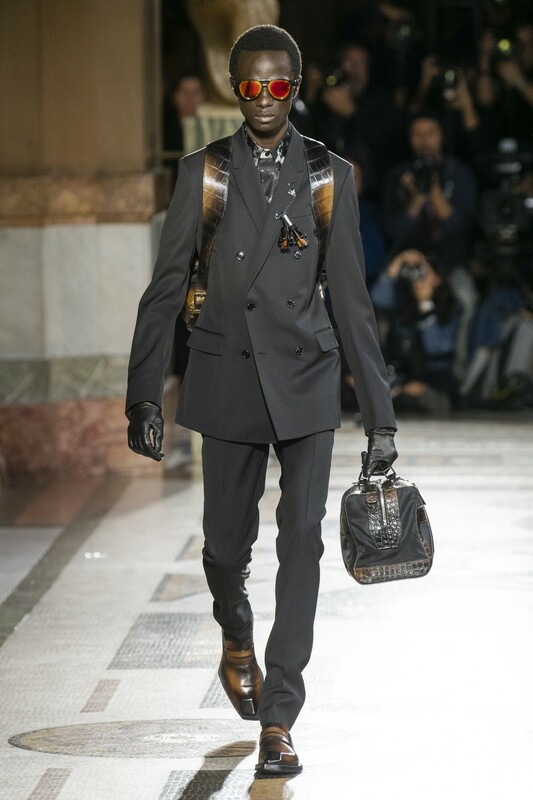 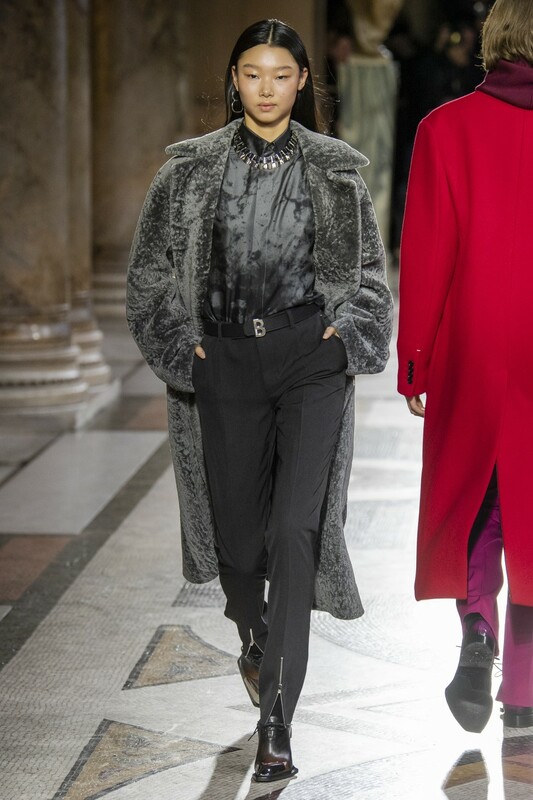 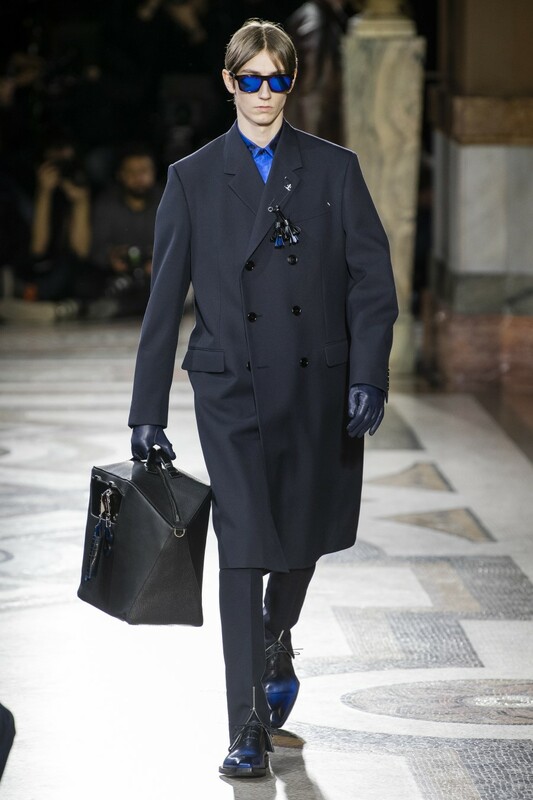 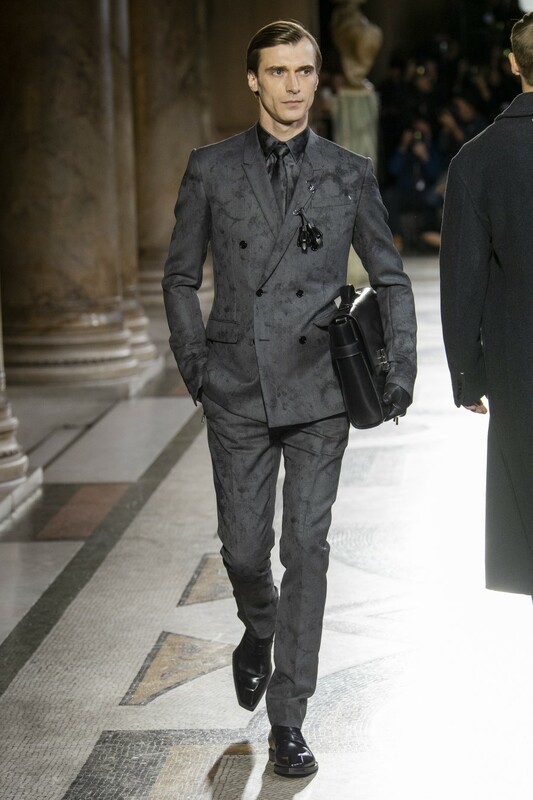 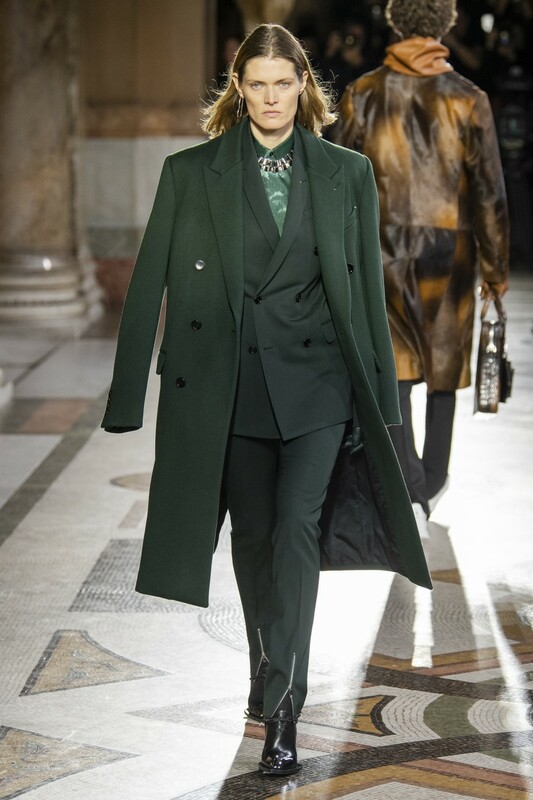 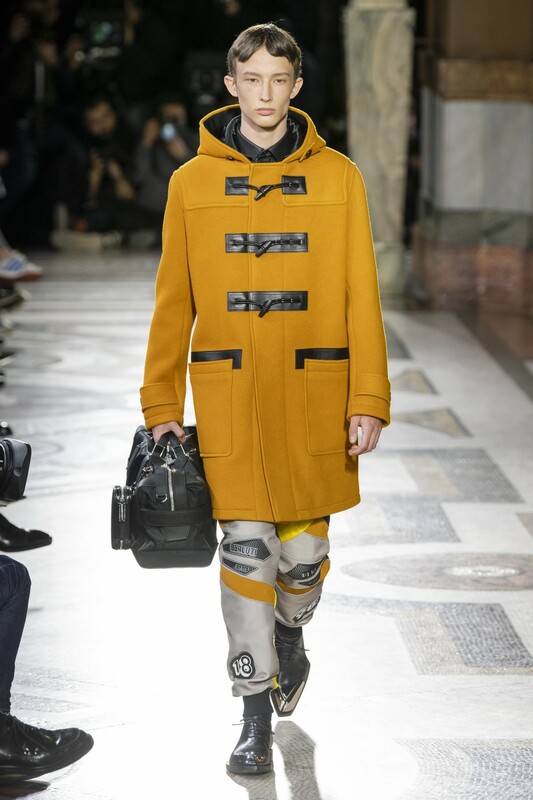 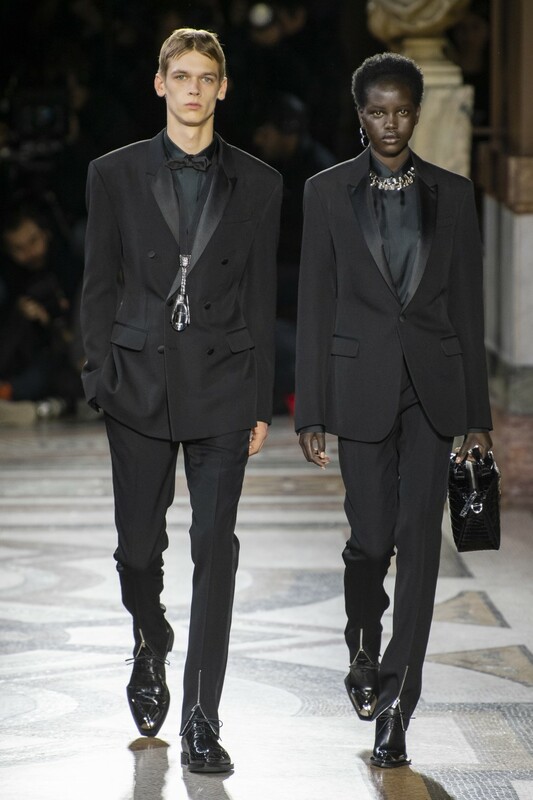 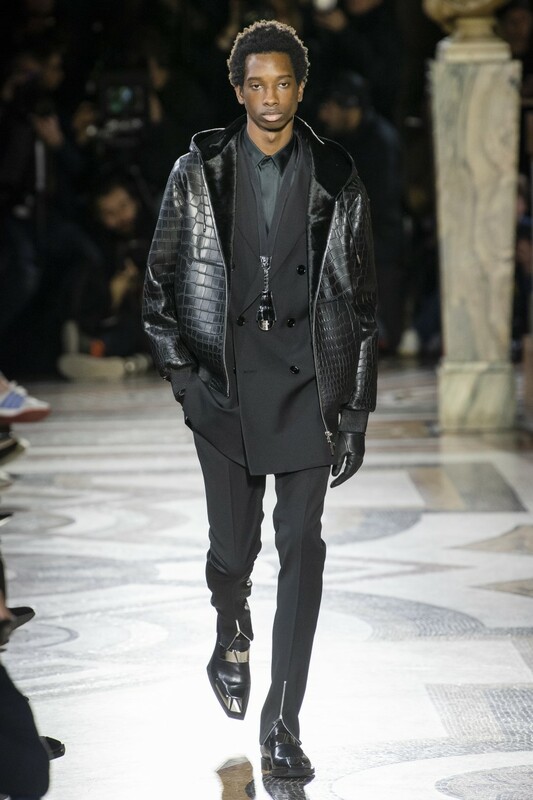 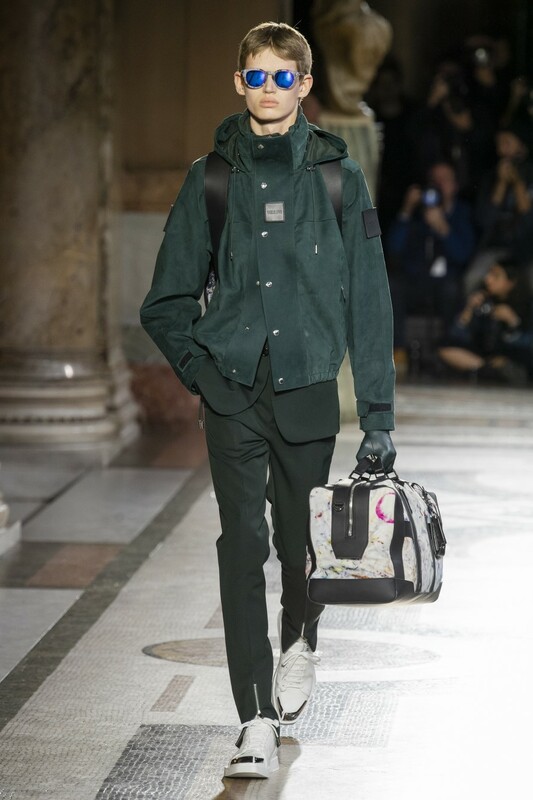 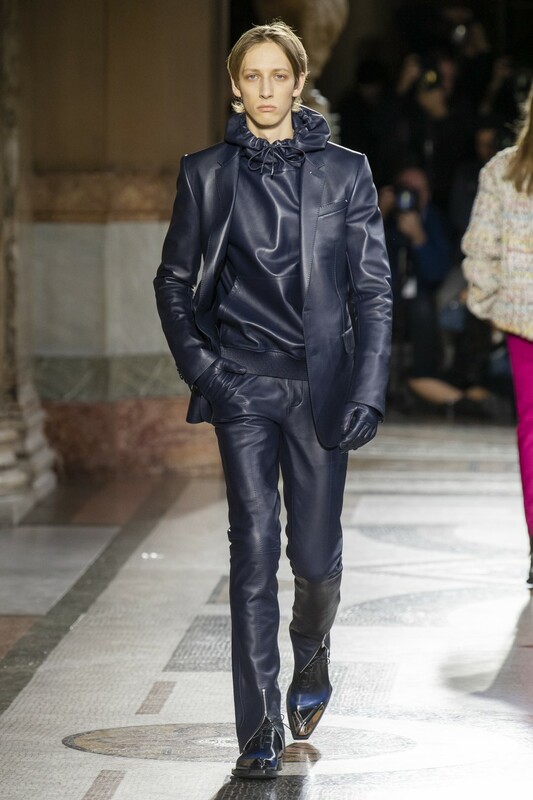 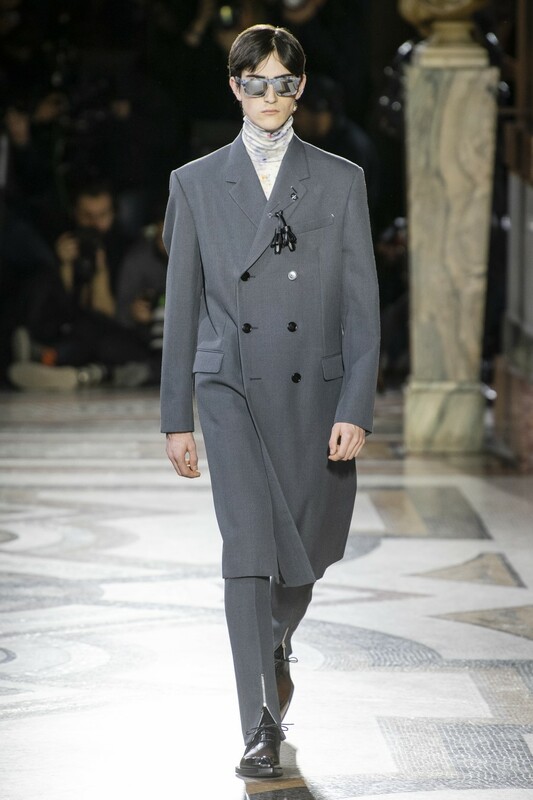 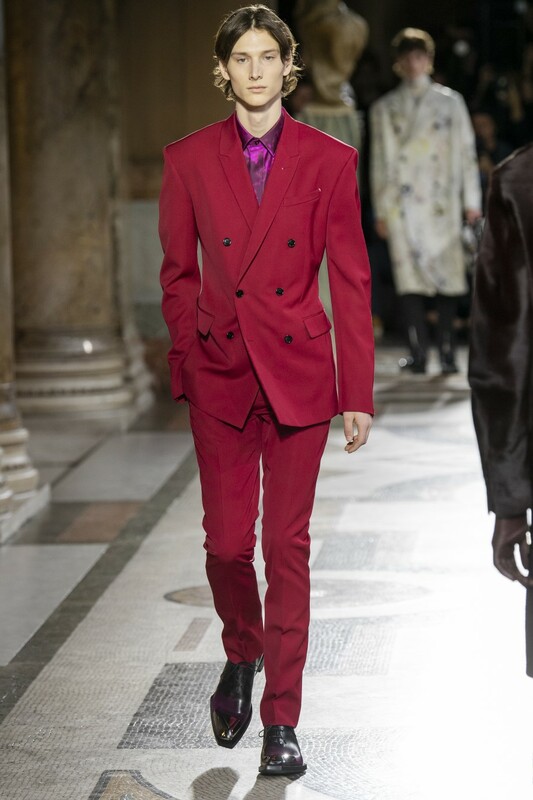 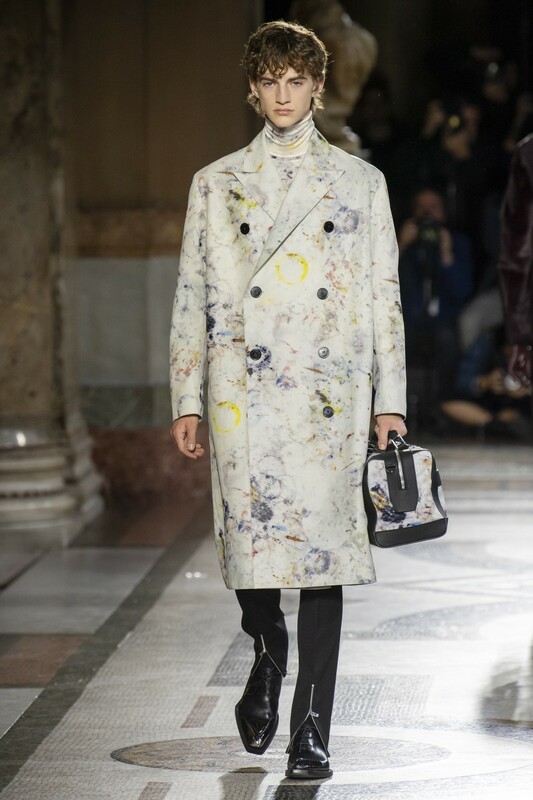 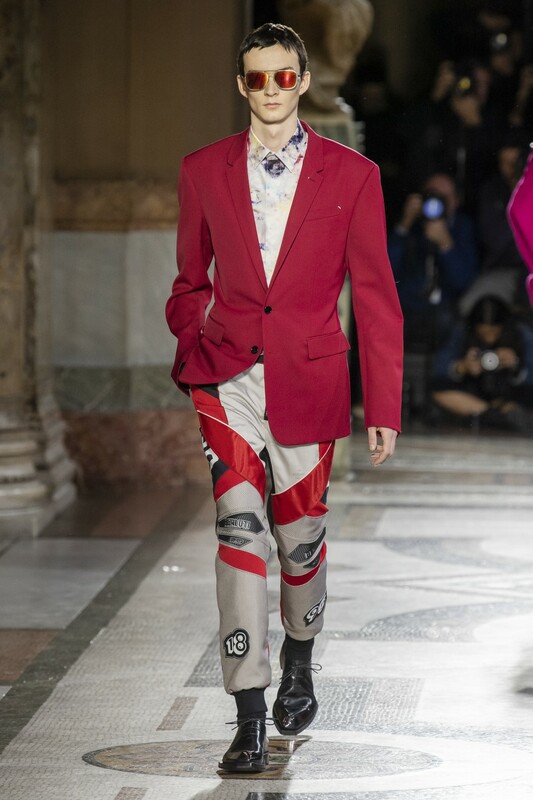 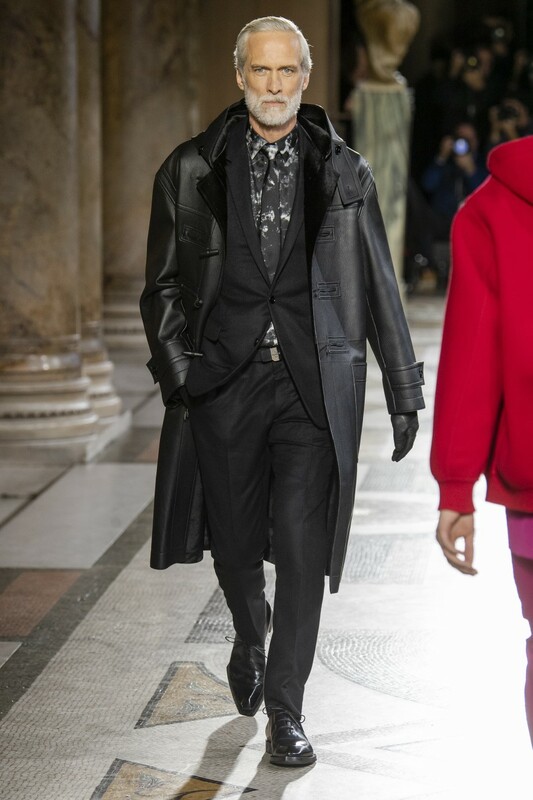 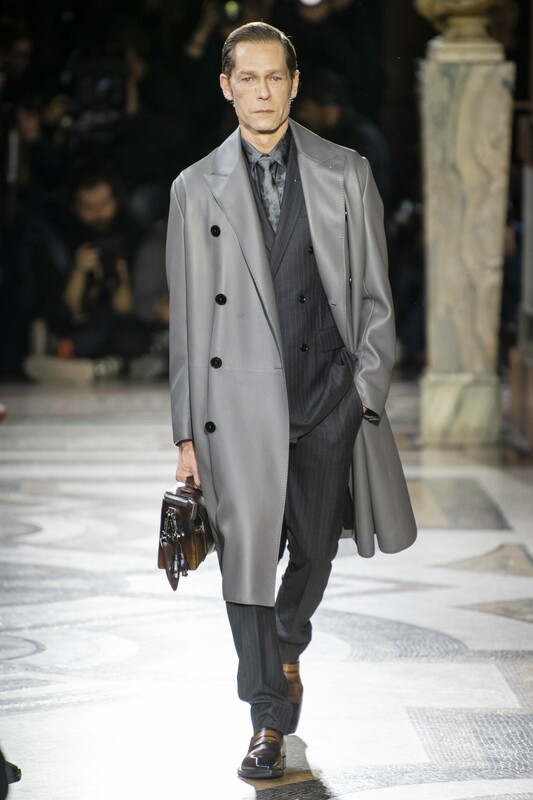 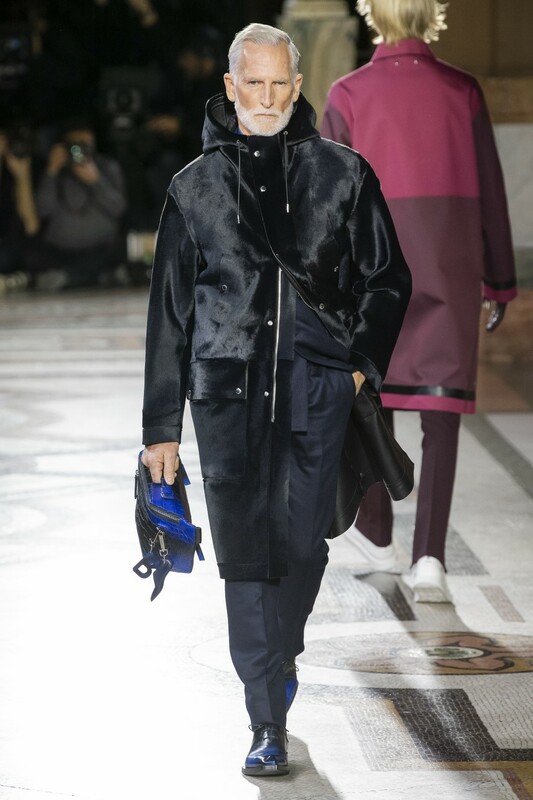 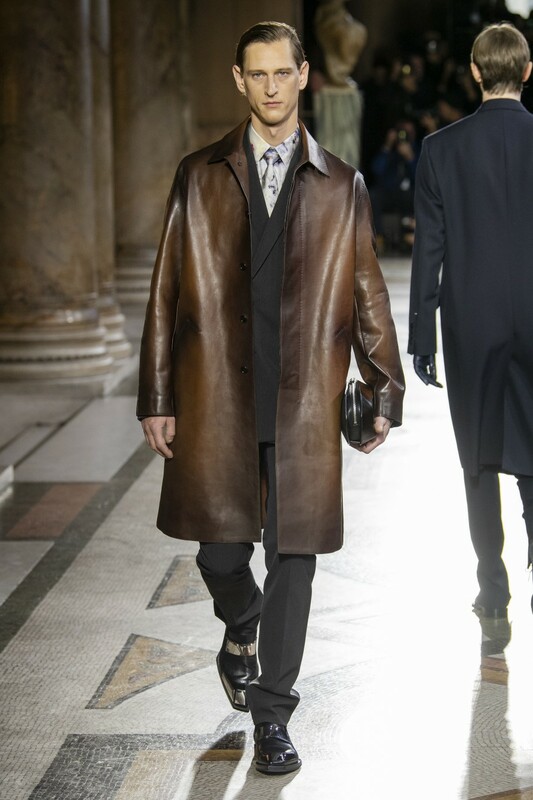 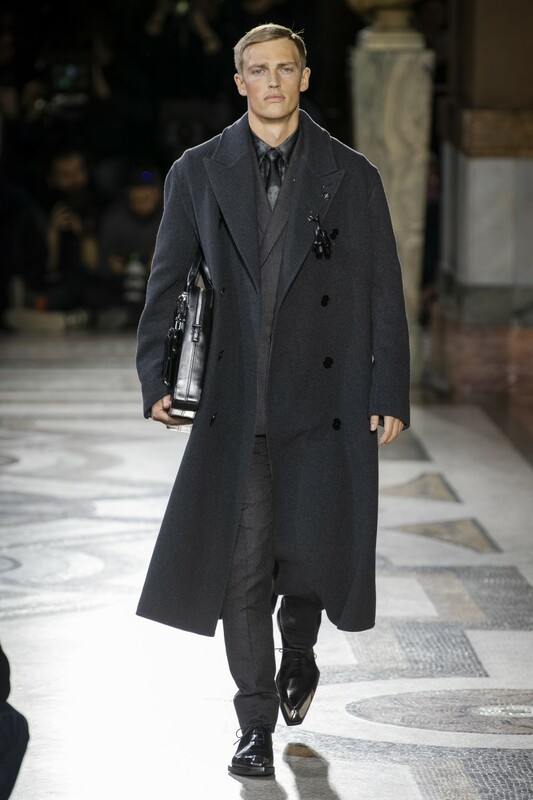 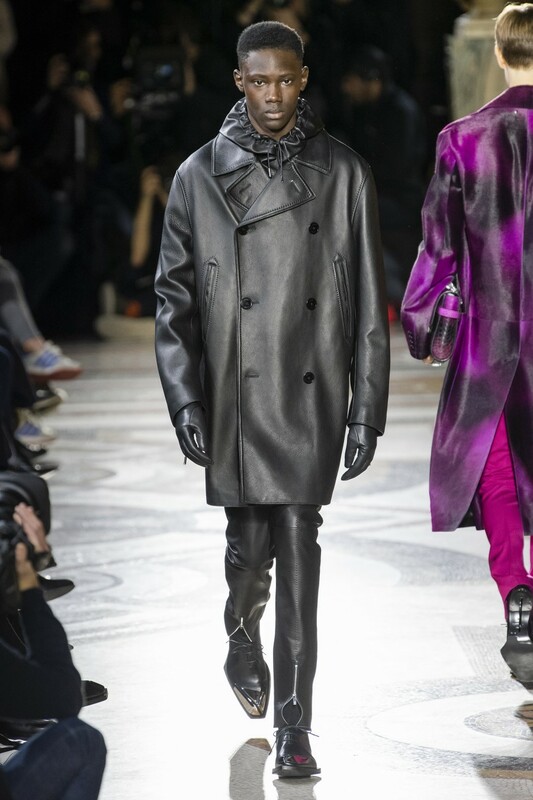 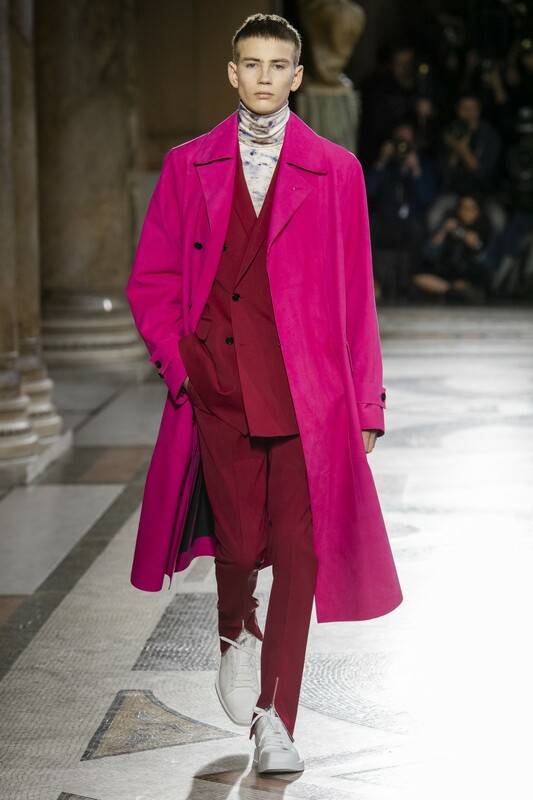 10 months after taking the helm at Berluti, Kris Van Assche showed his debut collection for the luxury label on Friday against the opulent backdrop of the Palais Garnier in Paris. 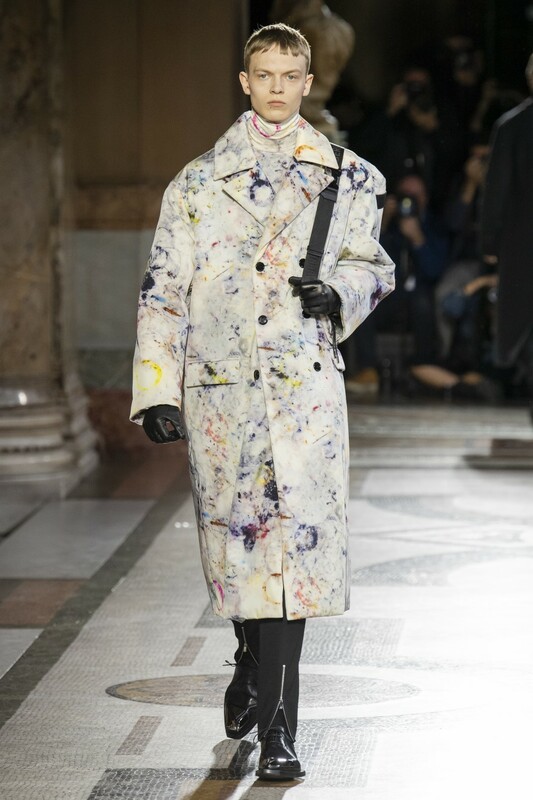 ‘’I totally, totally love the contrast of the noble and the rough. 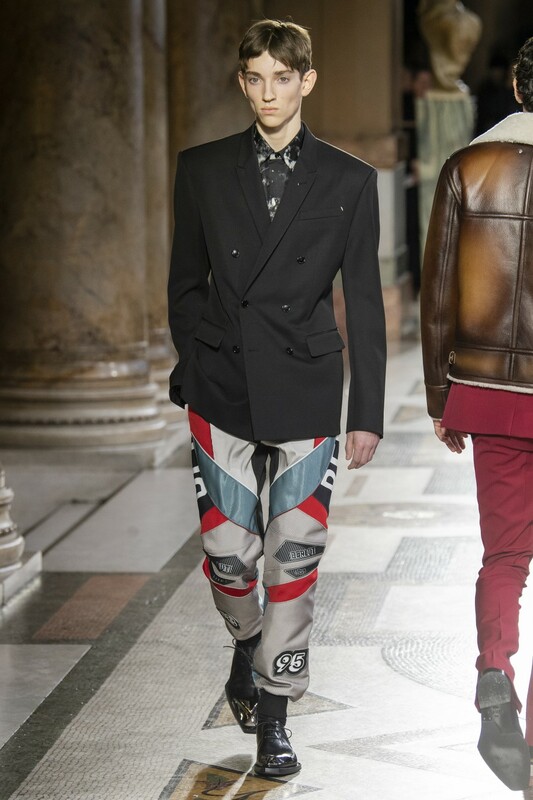 So we photographed it, and it became a print on the silk shirts, suits, and coats – we didn’t retouch it at all. 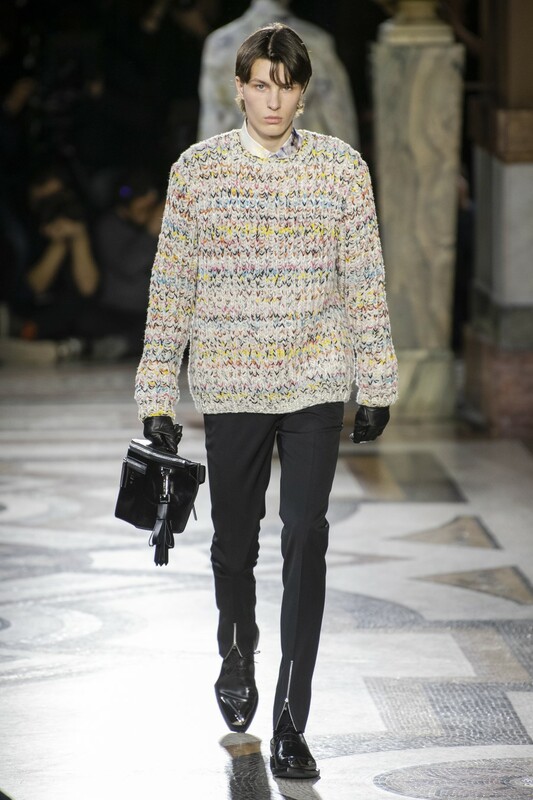 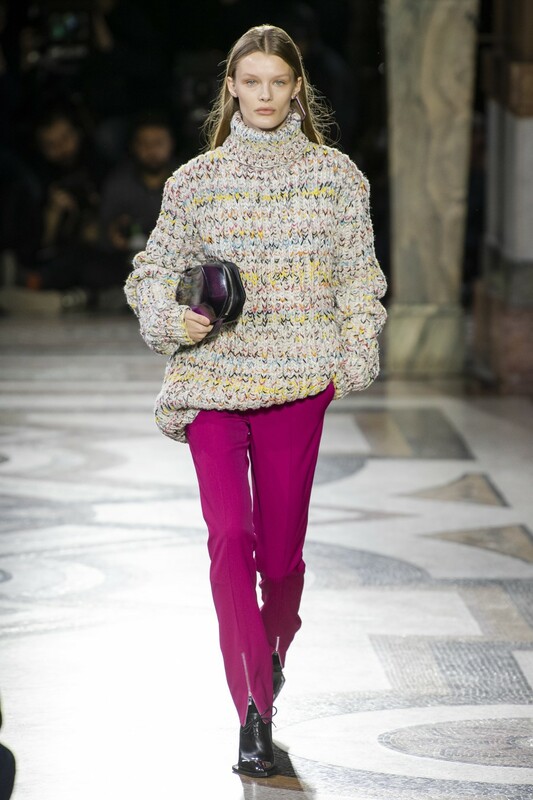 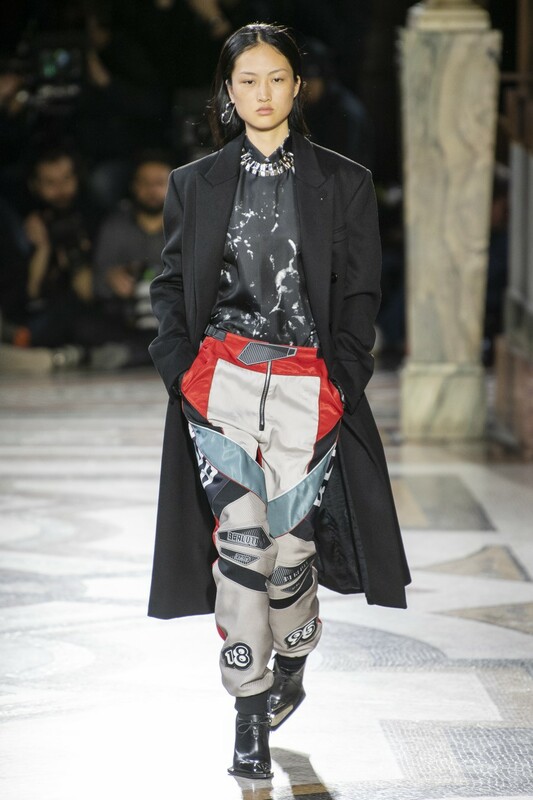 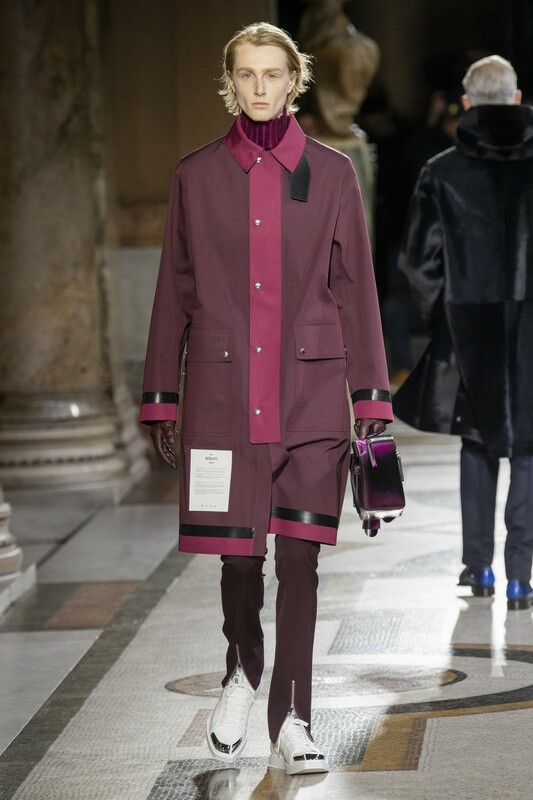 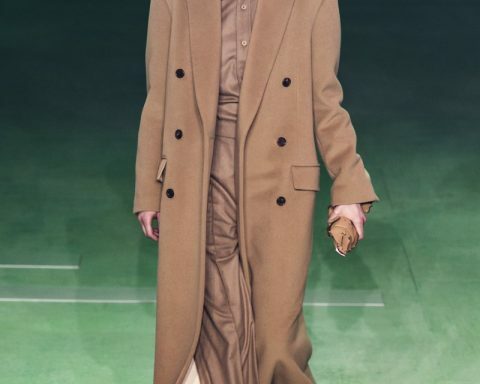 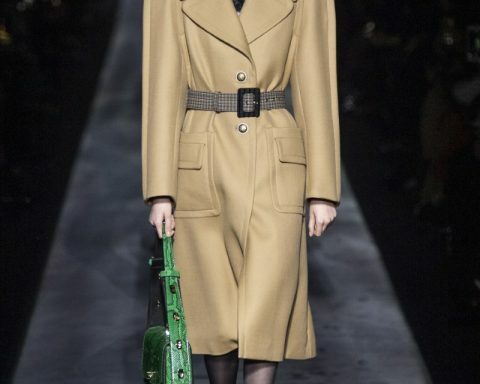 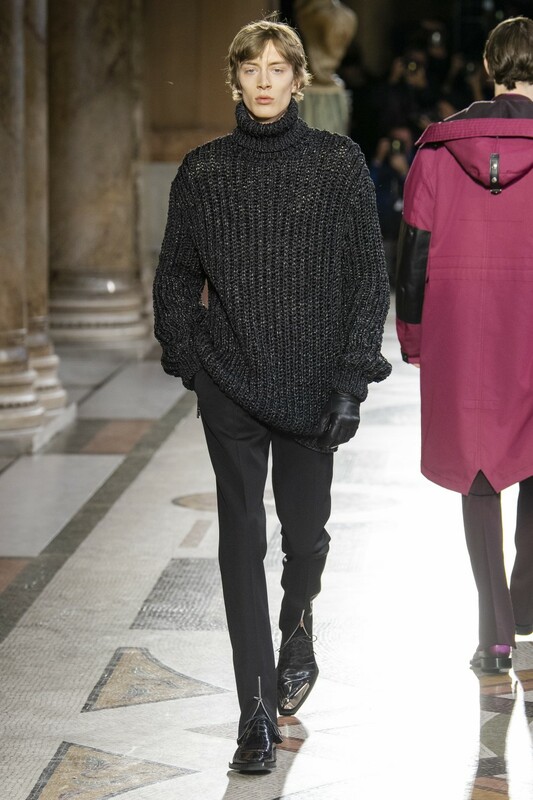 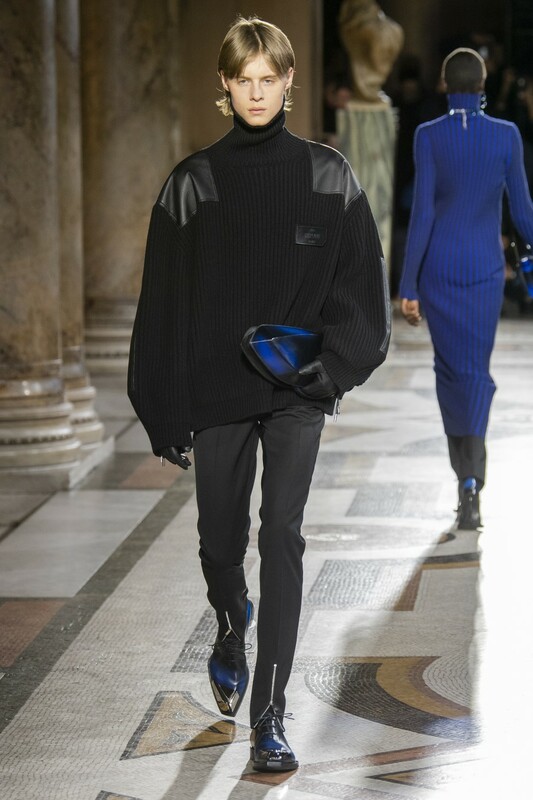 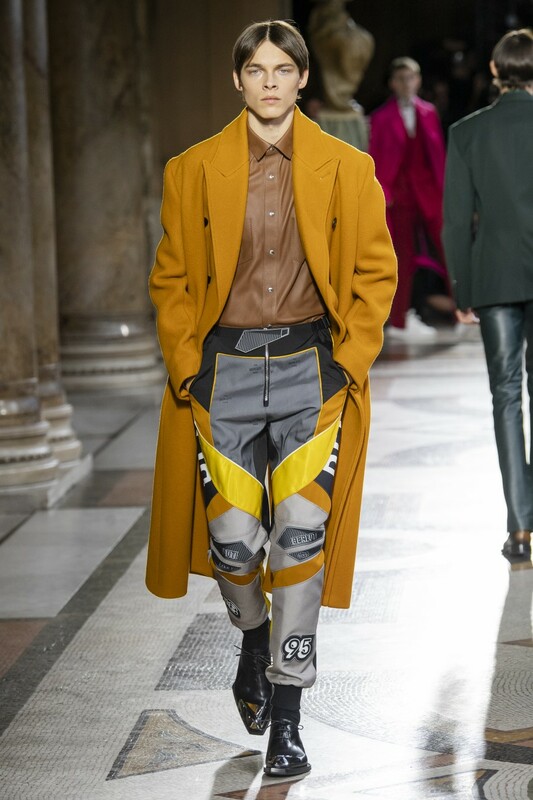 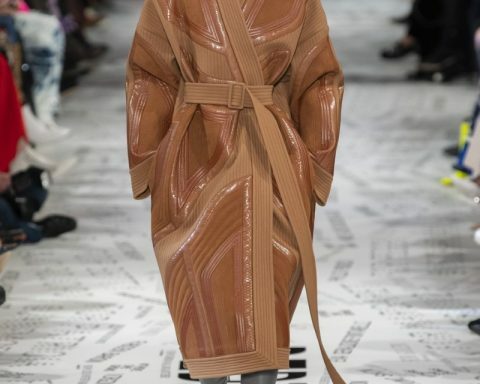 And all those colors provided the palette for the rest of the collection’’, Van Assche explained about the collection. 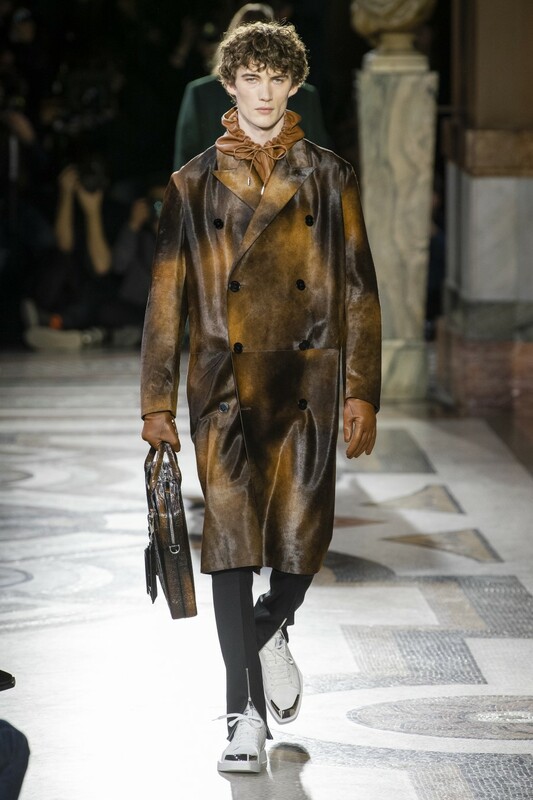 Several older men sporting full white beards showcased some of its sharps suits, while other suits and even hoodies were made entirely from brown leather and biker-style trousers completed some of the looks. 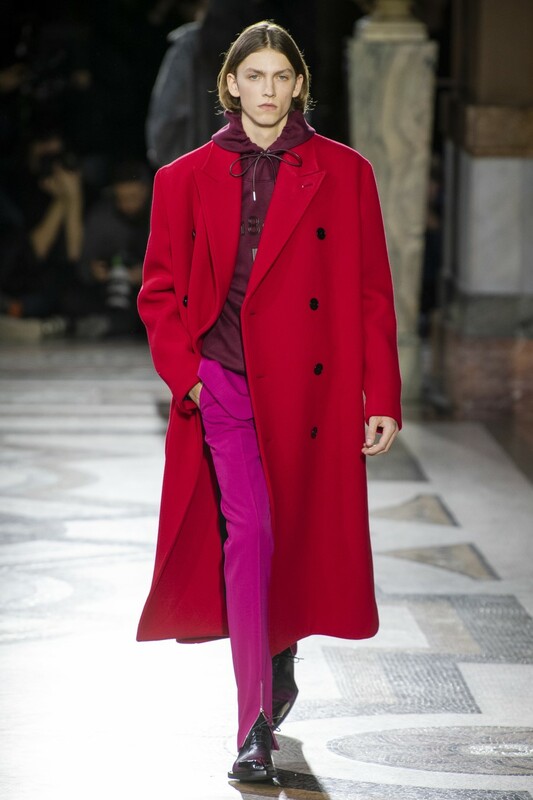 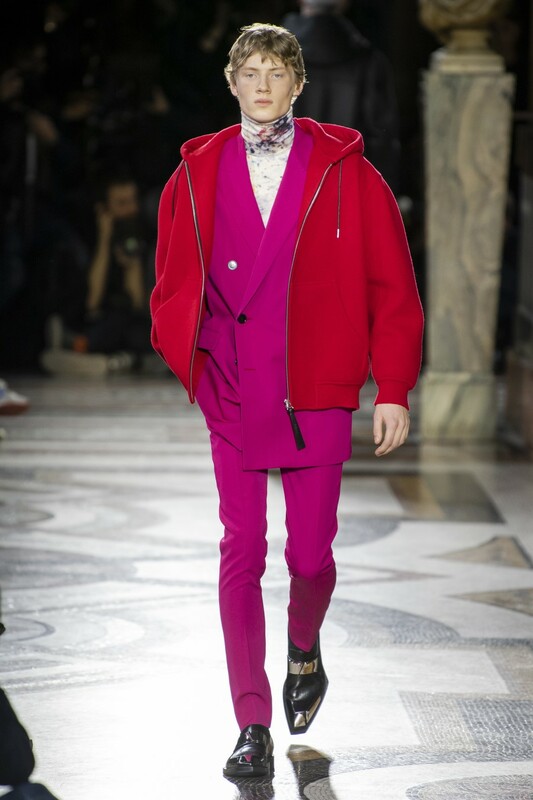 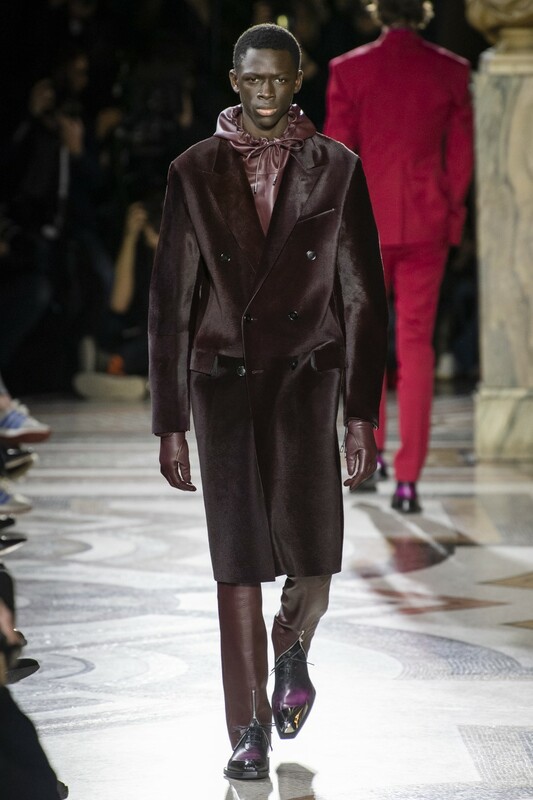 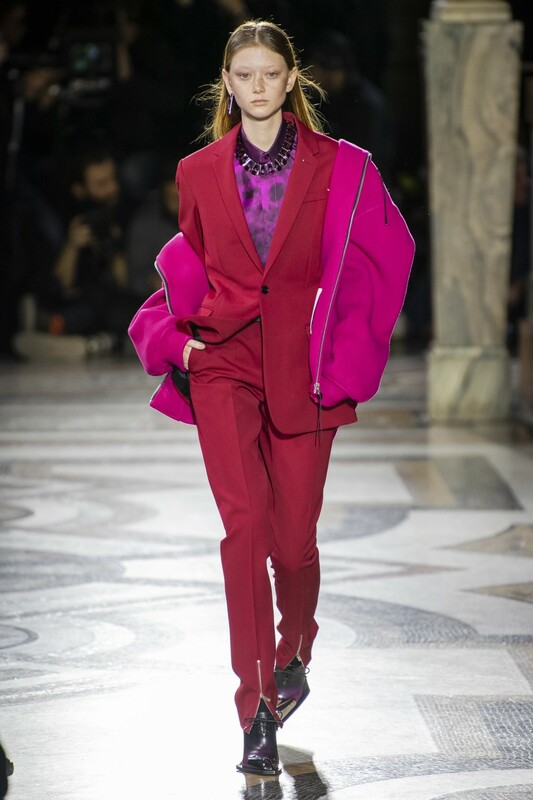 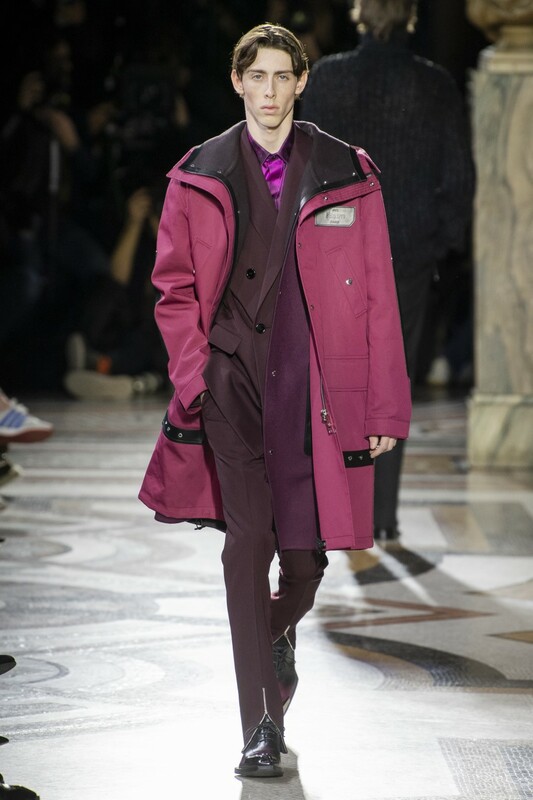 Van Assche also wove bold reds and pinks throughout the collection.